Cookware Brands stock an amazing selection of cooking utensils, including options from leading brands including Anolon, Cake Boss and Circulon. Whether you need to stir a risotto, crush a clove of garlic, whisk an egg, mash potatoes or remove lemon rind, we have a kitchen utensil that will get the job done. 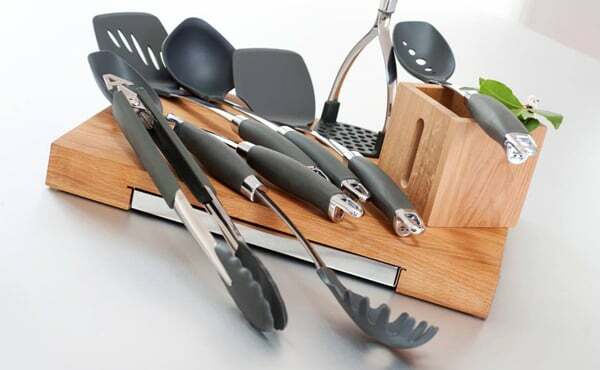 Our utensils are constructed from durable materials, including stainless steel, nylon and wooden options – just remember to remove them from the heat source when not in use.